Nothing provides online sellers with critical information and data quite like an eBay selling tool for research. With a great product research tool, sellers can gain access to critical data insights and leverage that data to make critical business decisions. Algopix provides more opportunities and insights than Terapeak, making it the chosen Terapeak alternative. 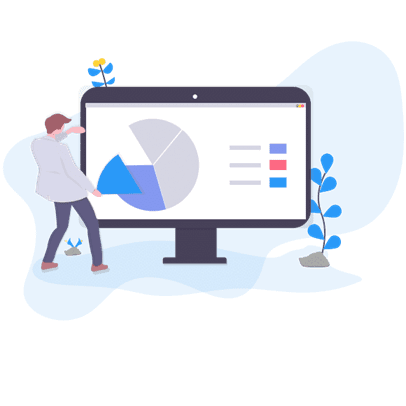 As a Terapeak competitor research alternative, Algopix provides flexible pricing plans that allow you to find the right plan for your business’s needs. For example, with Algopix’s bulk analysis tool, online sellers can pick a plan that allows up to 4,000 products analyses (Premium Plan) or up to 2,000 bulk analyses (Business Plan). Once you’ve decided what plan works best for your specific needs, you can enjoy thousands of Algopix product analyses with the data needed to avoid making unnecessary purchases which will reduce the cost of overstock and slow movers. Terapeak and Algopix both aim to provide online sellers with important insights into potential products, market demands, and pricing. Terapeak is only used for the eBay marketplace, while Algopix provides insights in a total of 15 marketplaces as users have the ability to select from a list of 7 Amazon markets, 7 eBay markets, and Walmart (for the full list of supported markets, please click here). With Algopix, sellers are not limited to one marketplace, but rather can discover new and perhaps even more profitable opportunities in other spaces allowing for expansion, growth, and increase in revenue. All that being said, if you’re a seller concentrated specifically on eBay alone, Algopix is still a great option for you. Even if you’re concentrated in only one marketplace, you can still benefit from the important insights Algopix offers. 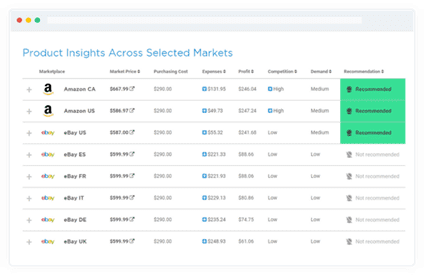 With data points like product demand level, estimated expenses, and profit, you can get a better understanding of how you’re performing in your current market and use insights to improve your standing and attract more customers. Additionally, you can use Algopix to vet new products and markets without the time investment and hassle of performing hours of tedious manual research.